The warm spring season is almost over, and summer is coming soon. 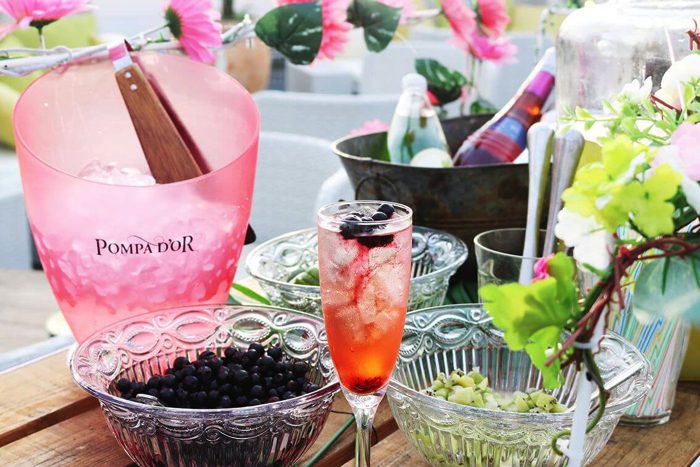 BBQ parties and beer gardens are the two most exciting events of the hot summer season. 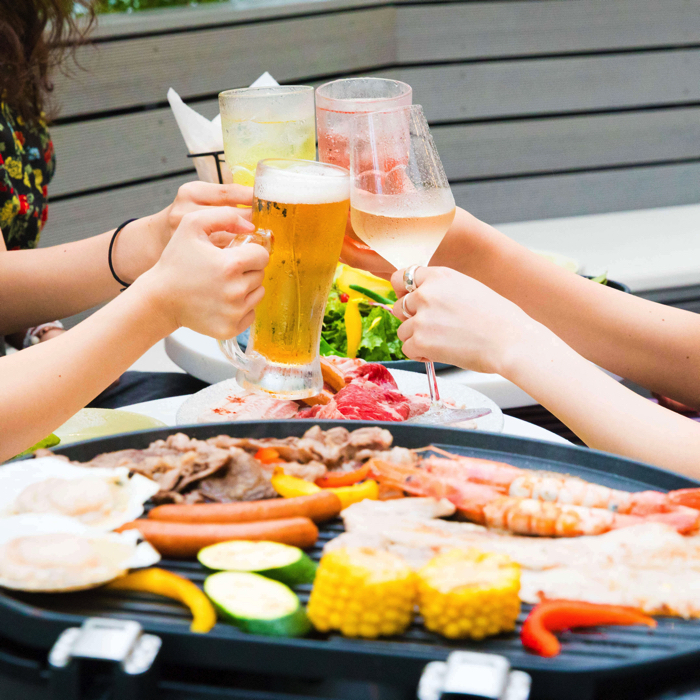 In this article, I will introduce to you some recommended BBQ parties and beer gardens. The theme of the event is a “Japanese summer festival” (Natsumatsuri) and it will take place in a traditional Japanese-style beer garden. As you come through the bamboo lantern-lit entrance, you will be engulfed by soft lights in a wide, open green space. Ordering the special offer Roast Beef Sushi (1 person 3 pieces) gives you the chance to see the expert chef put on a fiery flambe show. 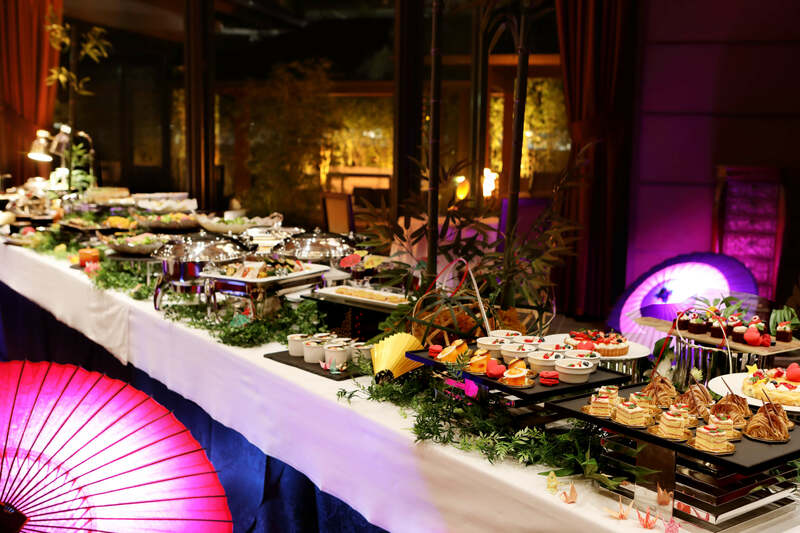 There’s also a buffet with a mix of around 20 Japanese and Western foods such as skewered and grilled food, savory egg custard, sushi wrapped in fried tofu, juicy sausages and much more as well as a line-up of close to 15 drinks served free flow style including beer and Japanese cocktails. Access: 9-minutes walk from Toro Station via the JR Line. 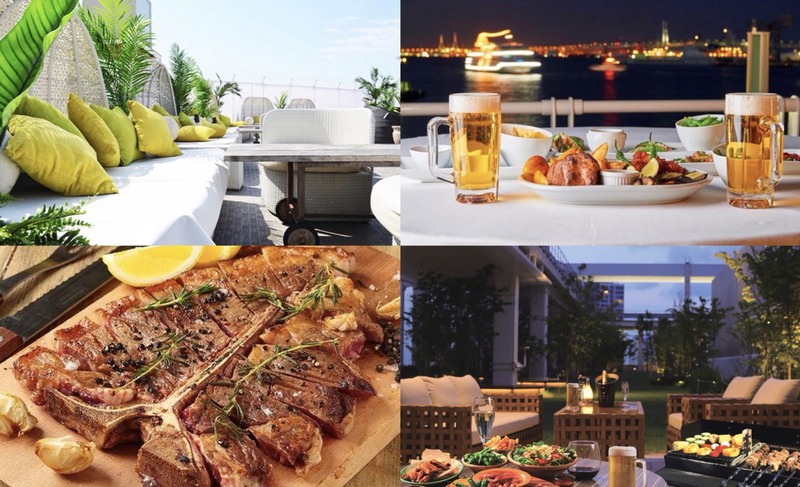 A beer garden serving authentic BBQ cuisine was opened on top of Ark Hills South Tower where a luxurious rooftop garden sits. 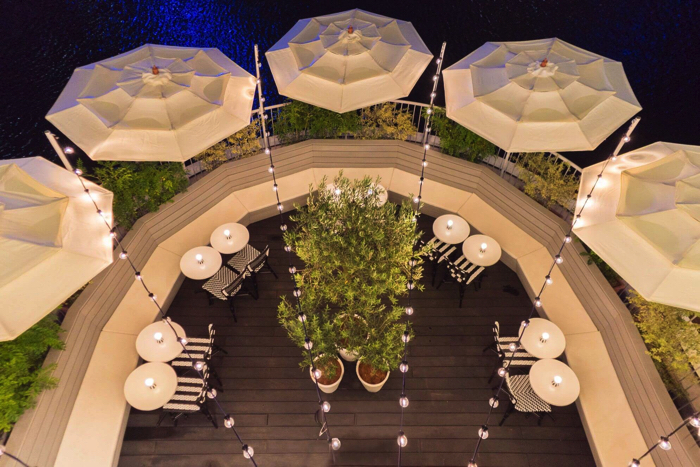 Despite being in the middle of the big city, the garden has a freeing, spacious feeling with plenty of greenery and even sofa seats. 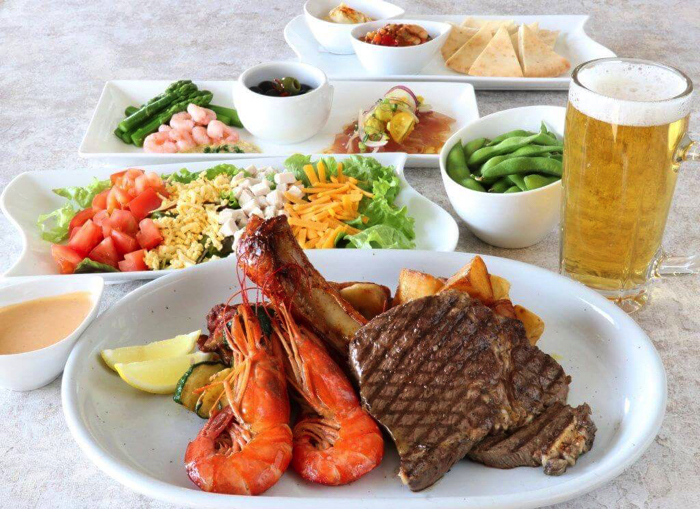 Food includes filling T-bone steak that uses carefully selected Iwanaka roasted pork shoulder, as well as a selection of seafood and vegetables. In addition, downstairs in the same building, you can buy meat to take to the BBQ too. 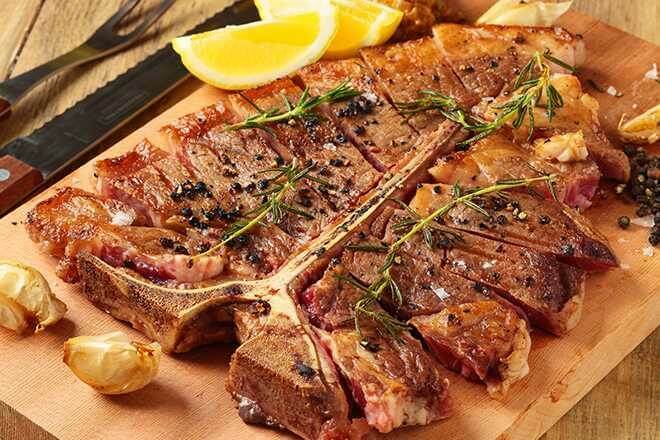 Choose your favorite ingredients and enjoy cooking it on the barbeque yourself. 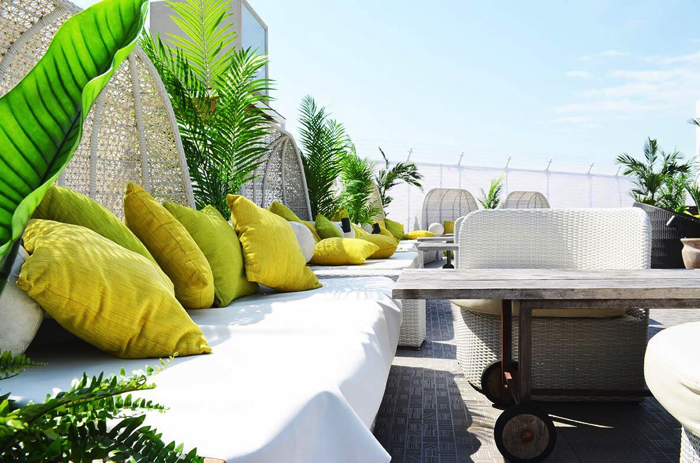 LUGAR HA AMOR is a beer garden where you can enjoy an extraordinary space, foods, videos and music on the rooftop of MACHIDA MODI. The word LUGAR HA AMOR means “a place filled with love” in Portuguese. The space created under the key word of “luxury beer resort” has three kinds of comfortable sofas that are couple sofa, bed sofa and low table sofa. You can also enjoy the video show projected on the wall of the building and project a message to your precious person. 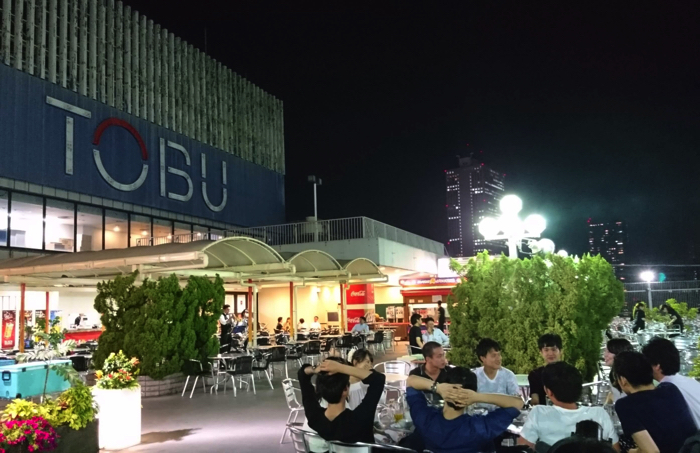 The rooftop beer garden, Hono no Bulgogi Densetsu β was opened on the 16th floor of Tobu Hyakkaten Ikebukuro Honten. The theme of 2018’s bear garden is “wellness.” Healthy spinach and pea sprouts are added to the Bulgogi pot as well as vegetables. 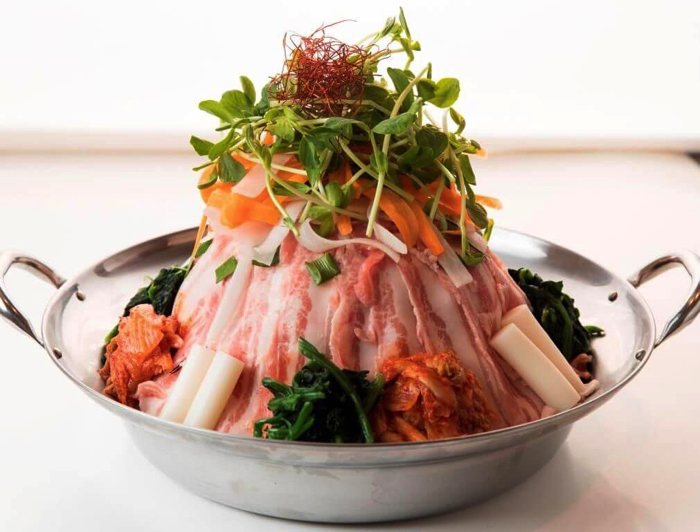 The spiciness of the bulgogi pot including eight kinds of vegetables, meat, bean starch vermicelli, kimchi, toppogi can be adjusted at your own will. They also offer beer/sour/whisky servers and a gin server! Kanagawa Prefecture – Umi no Mieru Beer Garden Hama Beer! 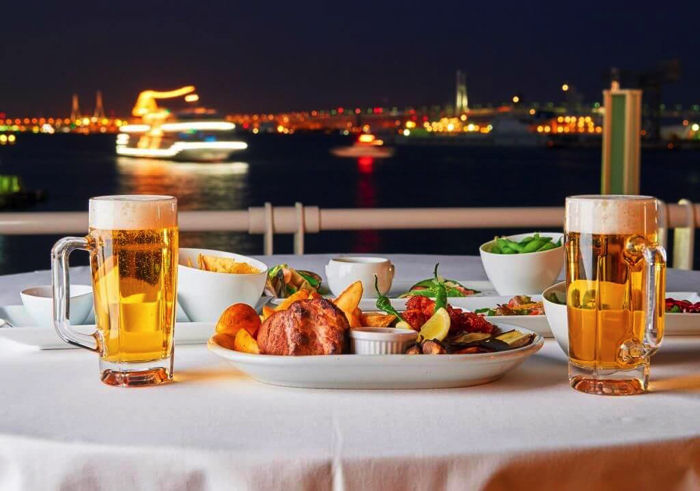 Yokohama Grand Intercontinental Hotel opened their popular beer garden, Umi no Mieru Beer Garden Hama Beer! The terrace is very close to the ocean, so you can enjoy eating and drinking in the beer garden while feeling the breeze from the ocean. Umino Mieru Beer Garden Hama Beer! 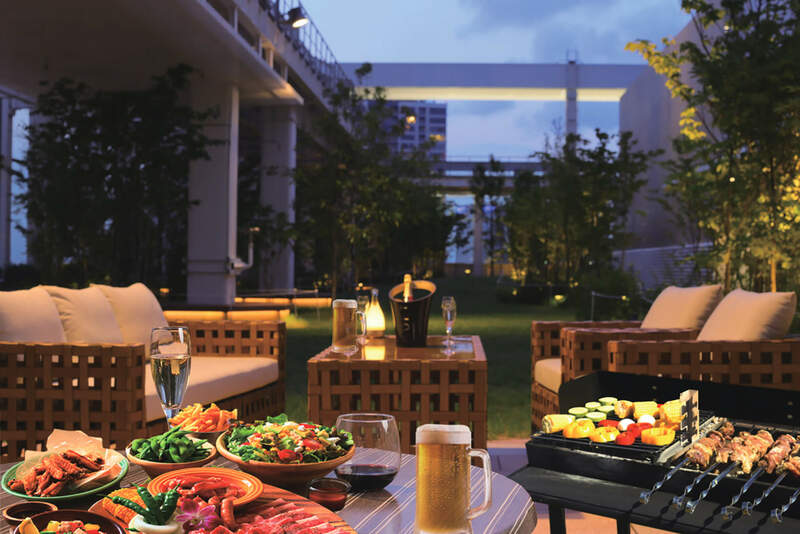 Three kinds of BBQ beer gardens are offered at tables cook & LIVING HOUSE in Yokohama. The first BBQ is NEW YORK BBQ where you can enjoy juicy and thick smoked pork with a special BBQ sauce. You can also make your own customized burger at your own will! 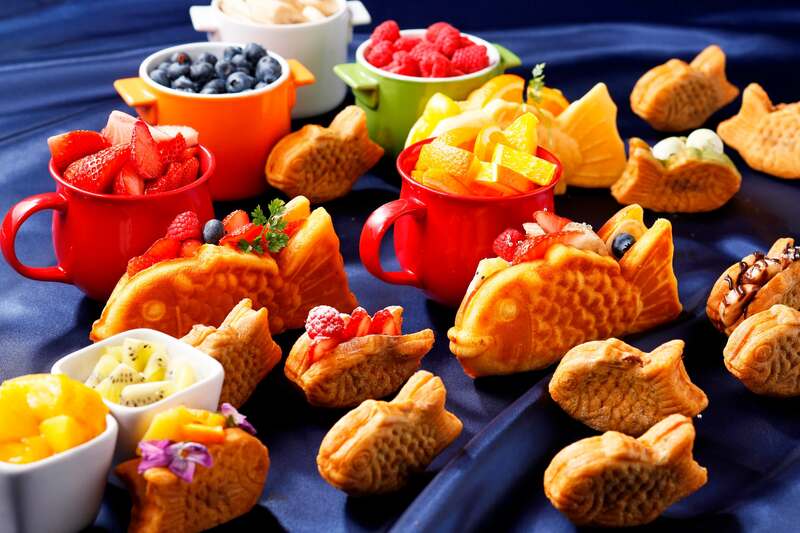 They are also offering many countries’ BBQs including seafood BBQ and grilled steak! Fruits cocktails and plum wines are also available!